The development and production of equipment is carried out by highly qualified personnel with access to high level development and measurement systems. Microwave radio equipment produced by Totaltel Ltd. are applied in public, private and government networks for decades. 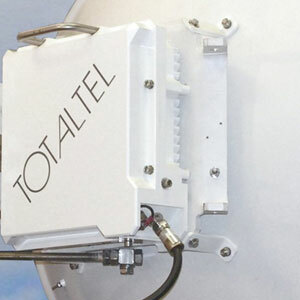 Totaltel Ltd. installed complete microwave telecommunications systems. It means the accomplishment of turn-key projects involving system and network planning, infrastructure implementation, equipment installation and commissioning and the provision of maintenance service as well. To fulfil the above tasks Totaltel is co-operating with several Hungarian companies forming a well organized team. Totaltel Ltd. is an MSz EN ISO 9001:2015 and NATO AQAP 2010:2016 certified company.